Hobsons Counselor Community aims to bring high school and college admission counselors together. The community brings together high school and college admission counselors and enables them to view details about institutions, create individual profiles, search for and connect with staff members at colleges and schools, and join groups to discuss news and topics of interest related to the admission process. The goal of the community is to help high school and college staff make connections and expand their knowledge of secondary and postsecondary institutions so they can better advise and help students throughout the college application journey. It is available now to all US higher education institutions and to all schools using Hobsons’ college and career readiness solution, Naviance. This summer, free membership in the community will also be available to non-Naviance schools. 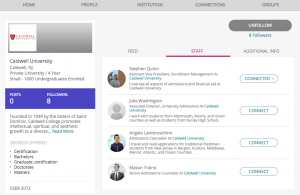 For colleges and universities, the community is part of the new Intersect™ platform, which seeks to help institutions find students who would be a good match for the college, and for whom that institution represents a best-fit educational environment. Later this summer, users of the Hobsons Counselor Community will also be able to access the next generation of RepVisits, the school-counselor created tool that makes scheduling high school visits easy. The Hobsons Counselor Community is free to all high schools. Postsecondary institutions can access the community and update key information for free; additional functionality, including individual staff profiles, is available to subscribers. For more information, visit Hobsons.com/intersect, or view this on-demand webinar. 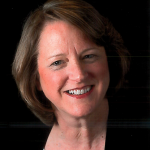 Susan Hallenbeck is director of product marketing at Hobsons. She previously spent 17 years working in admission and enrollment management.